Today we welcome Ashley and Emily from Frances Suzanne. They are visiting today to show how they and others have customized the Croquet Dress. They have lots of inspiration to share, so I will let them get started. Hi everyone! We are thrilled to be here today (first time ever!! 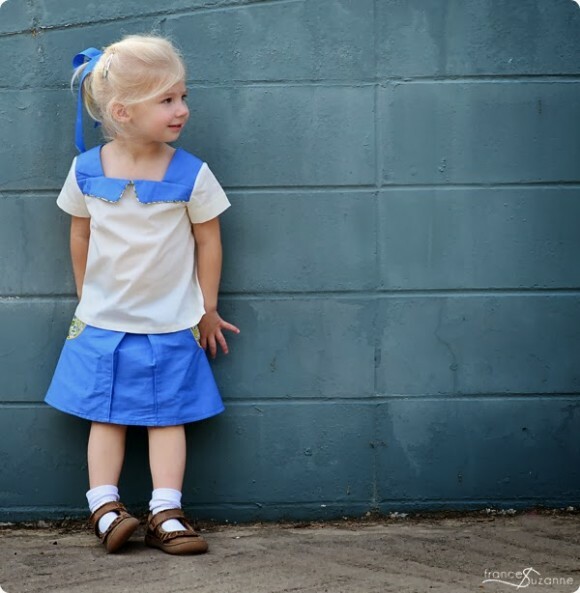 ), sharing ways to “Customize with Oliver + S,” specifically the Croquet Dress. When asked to share with you, we had sewn the Croquet Dress twice, both times with minor customizations to the pattern. Not that you need to be reminded of this, but the great thing about any Oliver and S pattern is the impeccable directions! So much so, these patterns give us the confidence needed to attempt changing the given design to fit our needs. 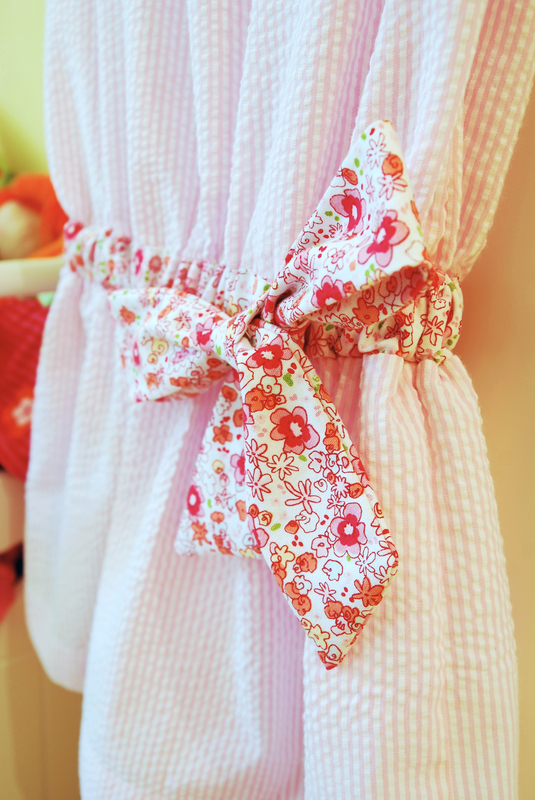 The first time, we sewed the Croquet Dress as a blouse. Truth be told, we probably got the notion from Liesl’s cross-stitched version! That, and we wanted the notched neckline to compliment the skirt we were in the process of sewing. This was a super easy customization (i.e., cut off the length to your liking and go with it). Then, we challenged ourselves a bit more when we “winterized” the Croquet Dress and sewed it as a long-sleeved, A-line dress. Again, the major customization was length! We determined the side seam length and angled it from the armhole to give it an a-line effect. We used the Croquet sleeves and lengthened them (as well as cuffed and “notched” them similar to the neckline area). Finally, since we really like details, we added a reverse appliqued kite, trim, removable kite ties, and a little handwork to complete the look. As for other customizations of the Croquet Dress? 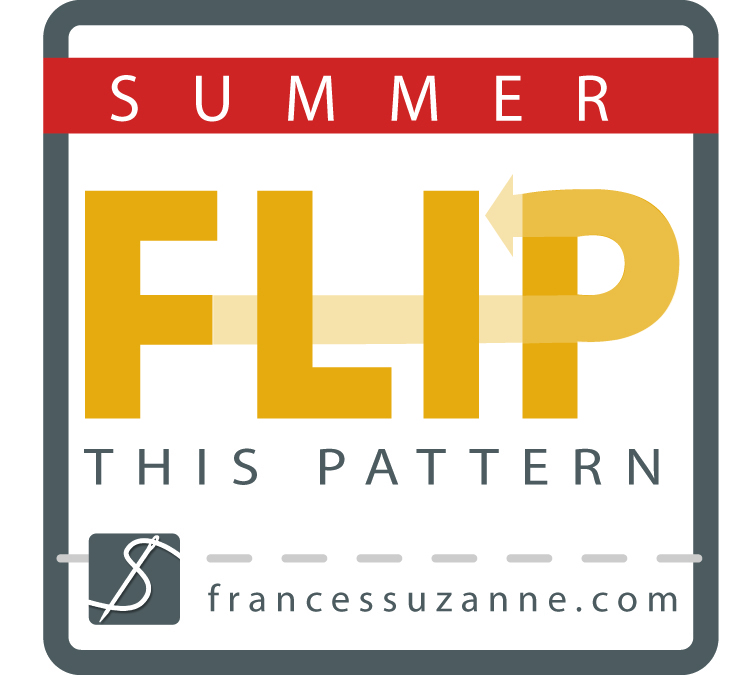 We’ve actually pinned a few under our “Flip this Pattern” Pinterest board! 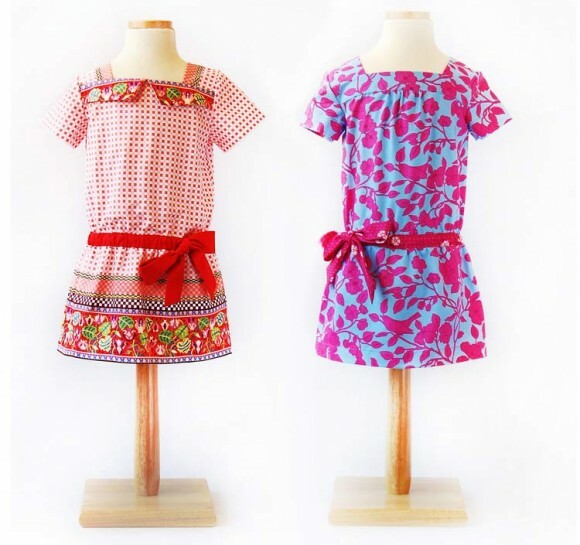 Can’t you just see the lines of the Croquet Dress in these creations? You want more?? Check out these lovely creations by fellow bloggers. 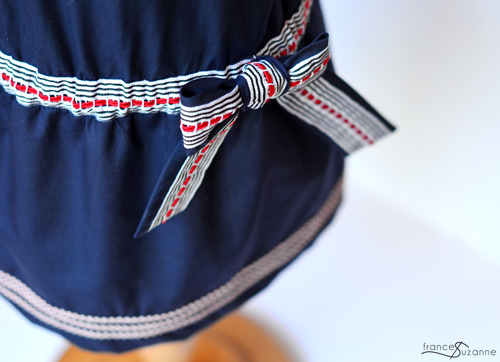 Lara sewed up the Croquet Dress using a lovely fabric (similar to chambray) with a broderie anglaise style of embroidery along one selvage. Isn’t it amazing how choice of fabric can completely change the look of a garment?!?! 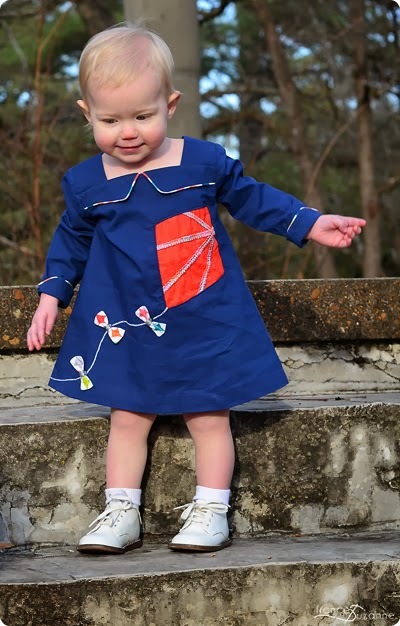 Ana Sofia also sewed a version (with a story) of the Croquet Dress for her daughter that is just striking! Lovely Little Bobbins’ beautiful version is similar, using seersucker, Liberty, and eyelet lace trim. Swoon! 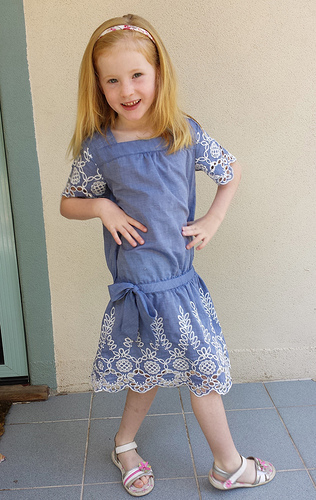 And, finally, Mary-Claire sewed up a fun Croquet Dress using flutter sleeves (instead of the original ones). Ummmm, yeah, we’d say her daughter loves it!! For the month of July, we have challenged all sewists to “flip” (i.e., customize) the Croquet Dress in our “Flip this Pattern” series. And, if you need a step-by-step photo tutorial for guidance, you can always follow along with Nicole for View A or View B. You may have already seen Courtney’s (Sweeter Than Cupcakes) version here, and later this month (July 20 – 26) four amazing competitors will share “Croquet flips of their own” over on our blog, Frances Suzanne. And, yes, there are prizes: for both the competitor winner, as well as the sew-along winner. 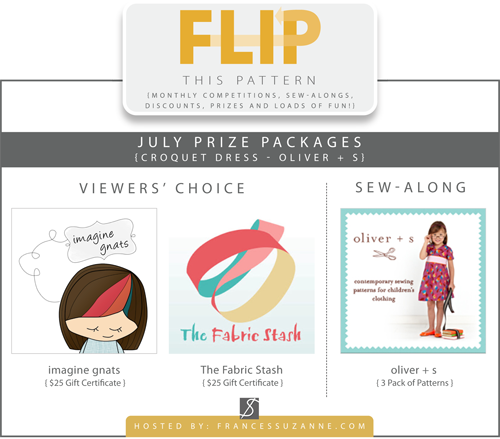 The winner of the sew-along linky party (eligible entries must be linked by July 24) will receive a 3-pack of Oliver and S patterns! You know you want to join the fun! 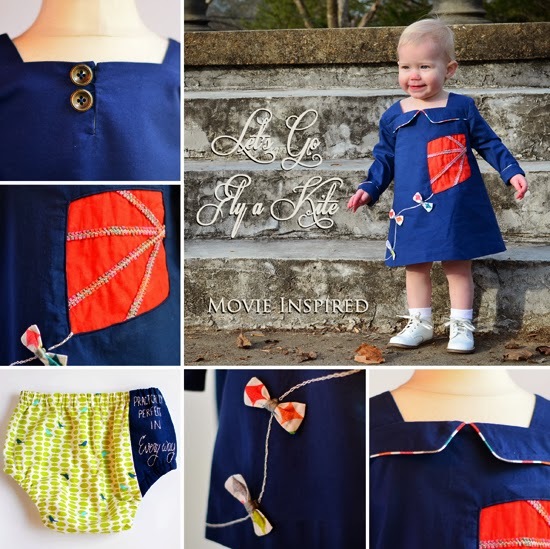 And, since we couldn’t sew-along and be eligible for the prize, we opted to sew a Croquet Dress “as is” (with a few details…) to share on our blog today. It’s about time we sewed it that way, wouldn’t you say?!? We would love for you to stop by and see our creation! Thank you so much for joining us today ladies! If you’re interested in flipping your own Croquet Dress, we’ve extended our 20% discount on the paper and digital versions of this pattern through July 20, 2014. Use coupon code Croquet20 at checkout to receive the discount. Doing a happy dance! Thank you for the extension for those of us who wait until the last minute. Now we are headed to the checkout…and then the sewing machine! Doing a happy dance! Ashley and Emily, thanks so much for this post! I can hardly wait to see what everyone makes. Funny thing: When my girl saw this post, she (finally) asked for the dress 🙂 It (only) took her 2 years to fall in love with this version (I always knew she would, obviously). MC version has always been a favorite (love the flutter sleeves) and It’s so great to see Lara’s version (awesome use of fabric). As for your last creation: no words, truly! Amazing as ever! The ribbon is so gorgeous! Funny how such a small detail can make such a big impact.